Paul Gauguin Cruises announced its 2020 voyages, featuring a 16-night Fiji to Bali itinerary, and 12- and 13-night Fiji, Tonga, Cook and Society Islands sailings. The 16-night Fiji to Bali voyage departs April 11, 2020, from Lautoka, Fiji, and after a sea day visits Espiritu Santo, Vanuatu; At Sea; Guadalcanal, Solomon Islands; At Sea; Samarai Island, Papua New Guinea; Port Moresby, Papua New Guinea; At Sea; Thursday Island, Australia; At Sea (two days); Dili, Timor-Leste; At Sea; Komodo Island, Indonesia; and Benoa, Bali, Indonesia. 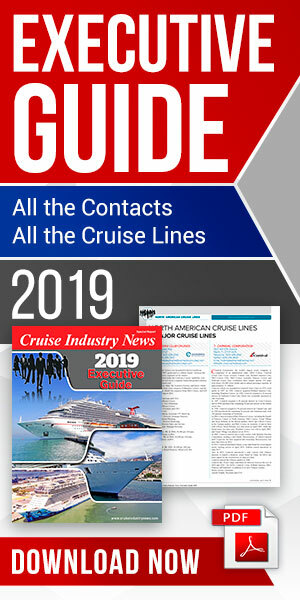 In 2020, The Gauguin will also be showcasing its core itineraries: the seven-night Tahiti and the Society Islands; the seven-night Society Islands and Tahiti Iti; the 10-night Society Islands and Tuamotus; the 11-night Cook Islands and Society Islands; and the 14-night Marquesas, Tuamotus and Society Islands. The ship returns to Fiji on two voyages that also feature Tonga, the Cook Islands, and the Society Islands. The 13-night voyage departs Papeete, Tahiti, on March 28, 2020, and visits: Moorea, Society Islands; Taha’a (Motu Mahana), Society Islands; Bora Bora, Society Islands (overnight); At Sea; Aitutaki, Cook Islands; At Sea (2 days); Vava’u, Tonga; At Sea; Savusavu, Vanua Levu, Fiji; Suva, Viti Levu, Fiji; Beqa Island, Fiji; and Lautoka, Viti Levu, Fiji. The 12-night reverse itinerary departs June 6, 2020, and calls at the same ports except Beqa Island, Fiji.